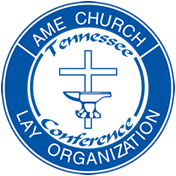 The Tennessee Conference Lay Organization is the training component of the Tennessee Conference of the 13th Episcopal District of the African Methodist Episcopal Church. Its training program is designed according to the needs of the 57 churches in the Conference, and also includes the training directives of the 13th District Director of Lay Activities and the Connectional Director of Lay Activities. The Conference Lay Organization meets once quarterly – on the third Saturday in December, March, June and September. In addition to training, some of the major programs of the Organization include the awarding of academic and book scholarships to graduating high school seniors with plans to go to college. In 2012, the Richard Allen Lewis Entrepreneurial Award was added to the scholarships given annually. A music scholarship for piano lessons is given to children ages 10-14 to inspire local churches to invest in musicians for future service to the AME Church. At the annual OLP (Outstanding Laypersons) Awards, members of local churches are recognized for their outstanding contributions to their local churches, communities and other levels of the African Methodist Episcopal Church. Persons in four categories are honored: young adults, (18-23 years old); young adults (24-30 years old); adults 31 years old and older; and pastors. Additionally, a Legacy Award is given to persons 75 years and older for their service to the local church.